Need a house with a BIG lot & " potential" for a granny flat? May be possible. Look no more! 2 APN parcels total just over 1 acre, plenty of room for RV, toys, boat, you decide. Need lots of parking? Here it is! Room for 10+ cars. 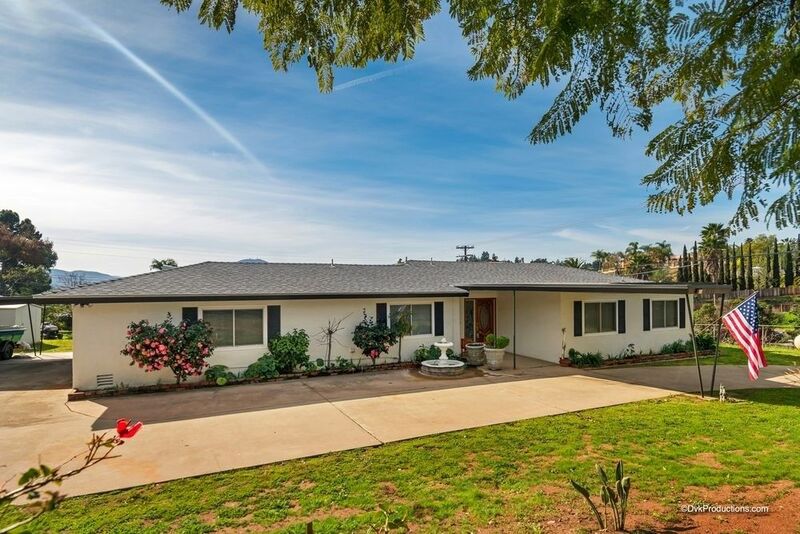 Single level home with over 2000 sq ft features spacious living room with fireplace, remodeled kitchen with eat-in dining, 3 bedrooms PLUS an office, remodeled baths. The swimming pool is just off the 300+sf enclosed patio room. The garage is deep and there is also a carport. Solar system leased & installed through Solar City, payment varies depending on use, but usually between $90-$130/month. Ceiling fans in all rooms except one. Pool was replastered 6 years ago. Bosch dishwasher in the kitchen. 13 fruit trees with sprinklers.